Below is a list of the usual milestones and associated age ranges doctors use to assess development. No one can diagnose their own child with a birth injury or a developmental delay. 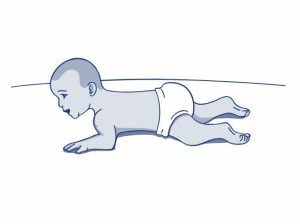 If you suspect that your child is consistently missing milestones or, if your child is showing other birth injury symptoms, it is critical to discuss your concerns with his/her pediatrician so that the proper medical investigation can be started. This investigation could include imaging studies of your child’s brain such as CT, MRI or Ultrasound. It could also include blood testing for chemical, metabolic, or genetic abnormalities. 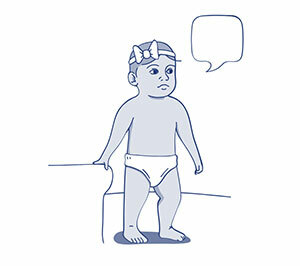 Your child may have an EEG to study the electrical pathways of his or her brain. You may be referred to a specialist in pediatric neurology, physiatry, or orthopedics. The process of diagnosis can be long and frustrating. 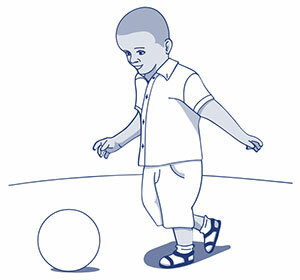 Getting answers for the cause of your child’s condition often requires patience, persistence and time. Keep your appointments, take notes and ASK QUESTIONS! You can’t provide the proper care and support your child needs until you fully understand his/her condition and the treatment options available. Calling birth injury symptoms “common” is probably a misnomer. Injuries suffered during the birth process can be physical and readily apparent. These include fractures, cuts, bruises, and nerve damage. If, however, the injuries are related to the brain and/or other internal organs, the signs of injury may not be apparent for some time. Sometimes, the diagnosis of a brain injury suffered during the birth process is not made until an infant falls behind on his or her “developmental milestones”. 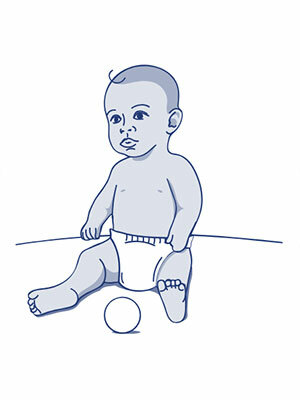 These “milestones” are behaviors which most children exhibit by certain ages. It is important to note that every child is different, and not all will reach each of the milestones by the average time. Your child’s doctor will be able to discuss these milestones and your child’s abilities in more detail. 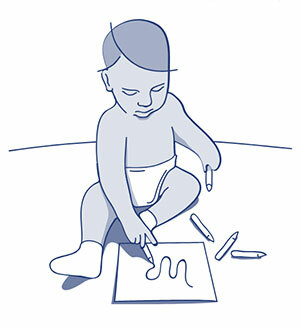 UCP is an organization dedicated to advocacy for children with cerebral palsy and education of their caregivers. UCP educates, advocates and provides support services to ensure a life without limits for people with a spectrum of disabilities. UCP also serves as a clearinghouse for research, local assistance and other resources. The CDC acts as the United States’ health protection agency. CDC conducts critical scientific research and analysis and provides health information with the goal of protecting the U.S. against expensive and dangerous health threats. The CDC can provide detailed information about the known types of cerebral palsy, their symptoms, research and scientific articles. Located in Baltimore, Kennedy Krieger Institute is an internationally recognized institution dedicated to improving the lives of children and young adults with pediatric developmental disabilities and disorders of the brain, spinal cord and musculoskeletal system, through patient care, special education, research, and professional training. Kennedy Krieger’s patient care programs offer an interdisciplinary treatment approach tailored to the individual needs of each child, throughout all stages of care. Highly trained professionals from various disciplines and departments collaborate to design treatment plans specific to each patient’s needs. The March of Dimes is a non-profit organization dedicated to preventing birth defects and infant mortality. The March of Dimes has led the way to discover the genetic causes of birth defects, to promote newborn screening, and to educate medical professionals and the public about best practices for healthy pregnancy. The work done by the March of Dimes helped initiate the system of regional neonatal intensive care for premature and sick babies. The United Brachial Plexus Network (UBPN) is a non-profit organization devoted to providing information, support and leadership for families and those concerned with brachial plexus injuries worldwide. Available resources include their extensive website; online registry, outreach and awareness programs, and an in-depth publication. NINDS is part of the U.S. National Institutes of Health (NIH). It conducts and funds research on brain and nervous system disorders. The mission of NINDS is “to reduce the burden of neurological disease—a burden borne by every age group, every segment of society, and people all over the world”. NINDS basic science research focuses on studies of the fundamental biology of the brain and nervous system, genetics, neurodegeneration, learning and memory, motor control, brain repair, and synapses. NINDS also funds clinical research related to diseases and disorders of the brain and nervous system, including brachial plexus injuries, Hypoxic Ischemic Encephalopathy, Alzheimer’s disease, epilepsy, muscular dystrophy, multiple sclerosis, Parkinson’s disease, spinal cord injury, stroke, and traumatic brain injury. A young woman sought treatment for neck pain, so she went to a chiropractor. The chiropractor argued that it wasnearly impossible for his actions to cause a stroke. However, Mr. Kondratyuk was able to make the case and obtained a significant settlement for his client.